Bedtime stories are always so fun. This time to connect with your child on a calm, quiet level is just so precious...at least that's what we expect it to be, right? Sometimes bedtime stories don't go as planned. Sometimes the kids are talking over you, sometimes they are climbing over you, sometimes attitudes and tempers are running high, and sometimes they pick a book that has just too many words (can I get an amen!?). Even on those more difficult of occasions, bedtime stories can be a special time. 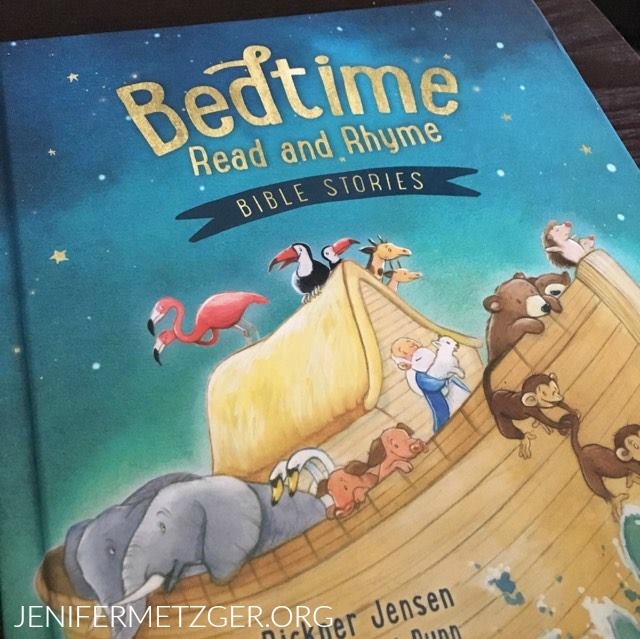 No matter how your bedtime routines generally go, Bedtime Read and Rhyme Bible Stories is the perfect bedtime story book for your family. This book has over 90 Bible stories to begin to foster the love of God's Word as they drift off to sleep. What better thing to have your child fall asleep to than God's Word! Each Bible story is a beautiful rhyme that your child will love, day or night. He sings a happy song! Set an atmosphere that will help your child sleep and teach them God's Word. To enter to win Bedtime Read and Rhyme Bible Stories, complete each task in the rafflecopter below.